This is a close up of the top layers. 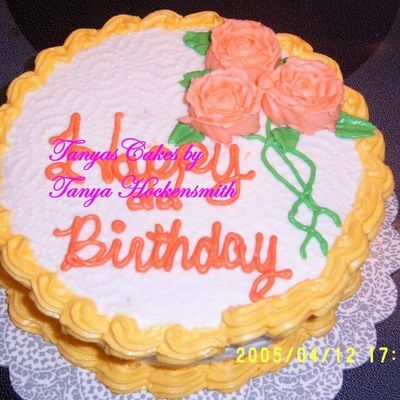 It is buttercream with fondant decorations. These are my first fondant flowers too! 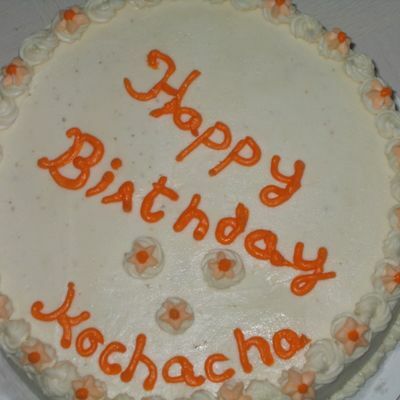 I like this cake, but I would have used more colors. They girl I did it for wanted all pink. I think it's cute anyway. I can't quite get the letters right yet. I guess it takes practice. 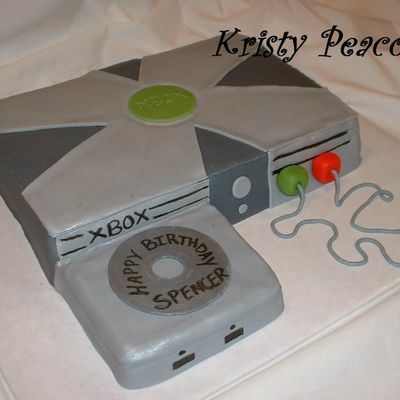 This was an x box cake for a little boy's party. This cake was for a guy at work. I also made a blanket that had duckies on it for him. 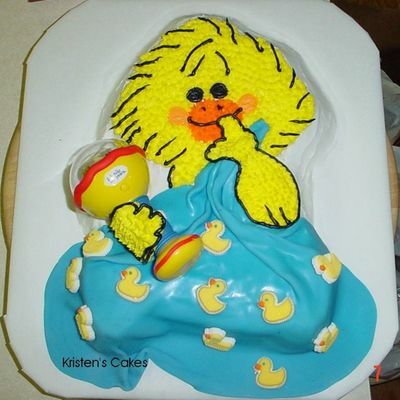 The pan is the Little Suzy's Zoo made by Wilton. 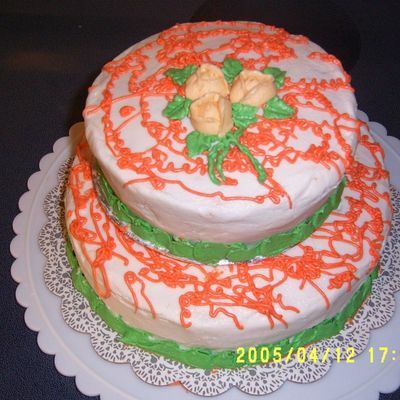 This is the sheet cake that I talked about in the cake disasters area called Green Rivers. It did not do the bleeding until after I had to put it in the freezer (now I know that did not need to) and then brought it back out and it was thawing out. 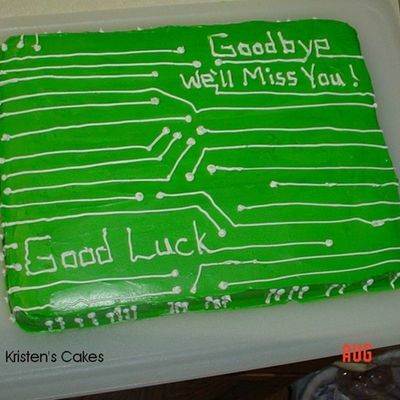 I work at a computer helpdesk so the cake is supposed to look like a piece of circuit board. 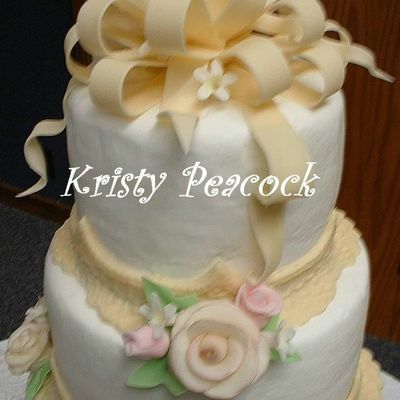 This wedding cake was decorated with Bakemark the roses are also made with the whipped topping the color I used is Ivory it is a 8" + 12" + 16". 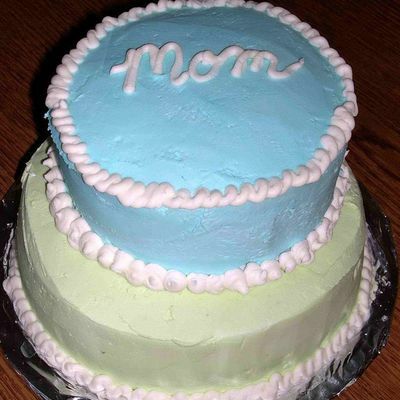 I just made a small 6" cake for my son to nibble on. These are my frozen BC roses. I think they came out great! At least better than what I used to do. Messed Up Cornelli Or Sotas Or Whatever!! 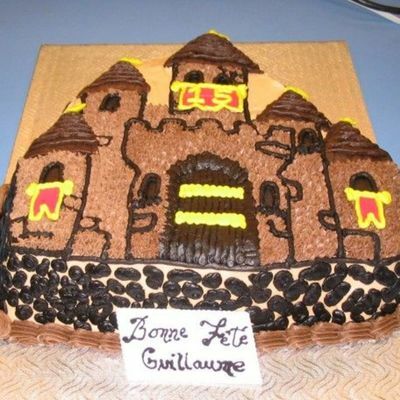 Well, this is the cake I mentioned in an earlier post. 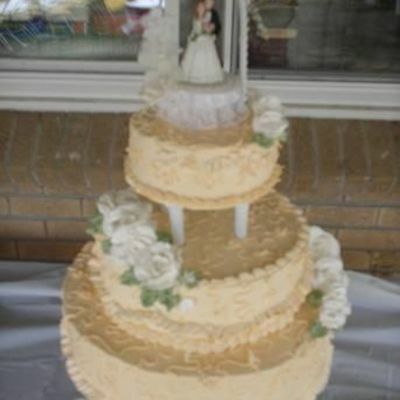 The tiers went together well. But when I tried to do the lace, the bag just pooped out. So I did what I could stand to do to finish it! I obviously need to work on my tiering skills, but this was my first attempt at a tiered cake. My 4 year old was standing next to me yelling "CAKE CAKE" and "I wan green icing! ", so I kep the decoration simple! 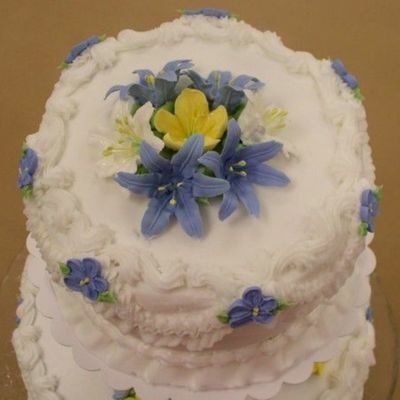 This is my course III final cake and was my first attempt at lily nail flowers. Look nice, but time consuming!